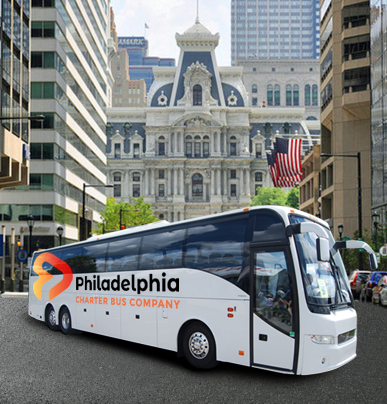 Make long-distance travel comfortable for your entire group by traveling in a 56-passenger charter bus. 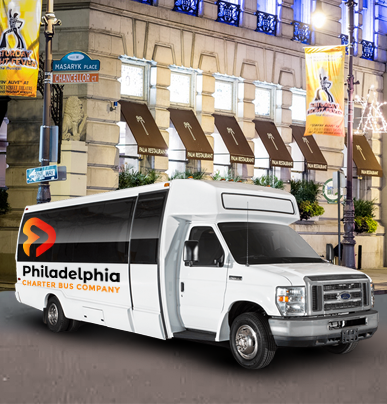 As one of the most spacious bus rentals available, your group can enjoy a pleasant, safe ride with various amenities. 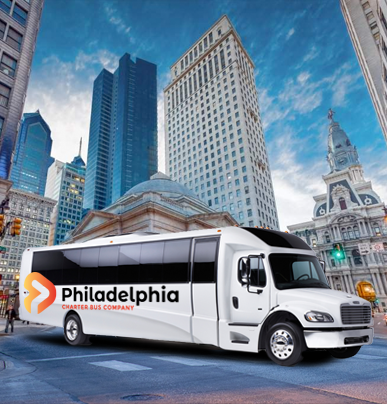 Philadelphia Charter Bus Company specializes in making group transportation easier for corporate events, weddings, sports teams, school field trips, and more. 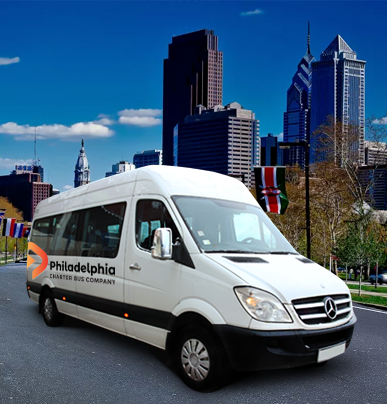 Call our 24/7 team at 215-764-5467 to start planning your trip! 20-passenger minibuses are great for medium-sized groups seeking a fast, affordable transit option. Designed with the passenger in mind, this compact solution is equipped with a number of premium safety solutions and modern construction. The smallest of the minibus solutions available for booking, the 18-passenger minibus is a great option for small groups that need a reliable luxury transit experience. Perfect for cross-town trips to weddings, sports competitions, and private events, this minibus is clean, affordable, and modern. Medium-sized groups love riding around in the 25-passenger minibus because of its versatility and size. This is the ideal solution for groups too large for an 18-passenger minibus, yet too small for a 56-passenger charter bus. Large groups appreciate the efficiency and spaciousness of the 56-passenger charter bus. Rather than separating passengers among a dozen smaller vehicles, this solution allows entire groups to remain unified as they make the journey to their destination.